No lipids, no life. In all organisms, lipids form cell walls, store energy and release it when necessary, and play an important role in cell signalling. 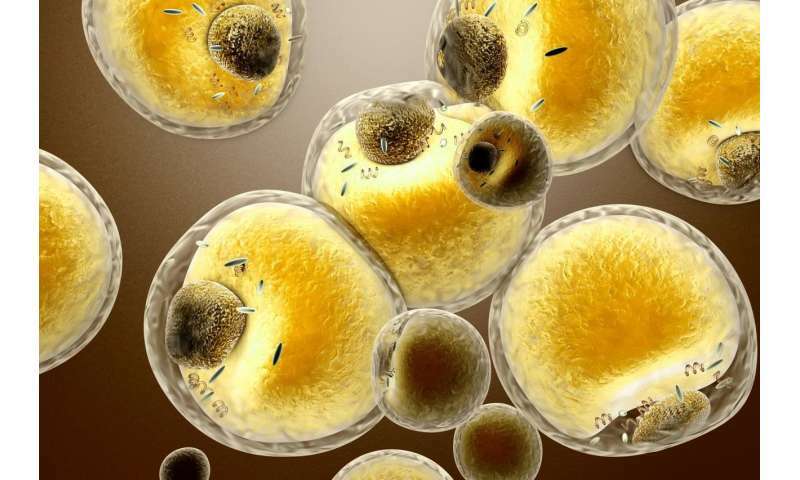 It has been proved that changes in the composition of lipids play a causal role in illnesses such as cancer, fatty liver and multiple sclerosis. According to rough estimates, there are about 300,000 different lipid species. For the detection of lipids indicative for diseases, healthy and sick organisms are typically compared quantitatively. This comparison requires reliable and detailed information about the structure and composition of lipids from tissue samples - and to this end researchers from the BioTechMed-Graz initiative have developed a tool which is presented in the current issue of Nature Methods. Lipids - often just called fats - are complex substances which in addition to various other components predominantly consist of fatty acids. In lipid research, however, there are still many things unknown. Also, the detection of structural properties of lipid molecules in high-throughput profiling is still in its infancy. In the presented high-throughput method, a large number of samples are measured using mass spectrometry. These data (i.e., spectra) provide information for identification of the type and class of lipid or the type and position of the fatty acyl chains. However, the measured spectra can differ between one and the same lipid species, because lipids show different fragments in the spectra depending on the setup of the mass spectrometer and the ionization. Due to this spectral diversity, up to now there has been no universally applicable bioinformatics software for the automated detection of lipid structures. Gerhard Thallinger of TU Graz's Institute of Computational Biotechnology explains the necessity of automated lipid characterisation: "Fast and reliable details on the lipid composition of cell samples are a prerequisite for comparisons with reference samples from healthy cells - which are required for the detection of biomarkers characteristic for diseases. The important question is which changes in the lipid composition of cells are relevant in diagnostics?" The "Lipid Data Analyzer", which researchers of TU Graz, Med Uni Graz and University of Graz have published in Nature Methods, will facilitate work tremendously in biomedical research and definitely accelerate lipid research - of this Jürgen Hartler, also at the Institute of Computational Biotechnology, is convinced: "The method which we have developed in collaboration with colleagues from Med Uni Graz and Uni Graz, interprets lipid spectra using intuitive rule sets and can be as such flexibly accommodated to various fragmentation characteristics. This makes it possible for the first time to identify lipids at a very detailed structural level more precisely and reliably than previous solutions." The TU Graz team was responsible for the software development, the mass spectrometric experiments and usability tests were carried out at the Center for Medical Research (ZMF) of the Medical University of Graz and the University of Graz, and biological experiments were carried out at the University of Graz. In the presented study, the Lipid Data Analyzer detected more than 100 novel lipid species, which were previously unreported. The tool can be flexibly adapted - and not just for new classes of lipids. It may be used, for instance, to characterise polysaccharides and glycolipids, i.e. lipids with attached sugars. The researchers provide their Lipid Data Analyzer as open source to the scientific community.